Located in the heart of Saint-Alban-sur-Limagnole, this inn is steps from Church of St Alban and Castle of St Alban. Le Franquet and Reserve de Bisons d'Europe are also within 9 mi (15 km). Situated in the mountains, this romantic hotel is within a 10-minute walk of Church of St Alban and Castle of St Alban. Le Franquet is 1.9 mi (3 km) away. This family-friendly Saint-Alban-sur-Limagnole vacation home is located on a river, within 3 mi (5 km) of Church of St Alban, Castle of St Alban and Le Franquet. Reserve de Bisons d'Europe is 7.9 mi (12.8 km) away. Situated on the waterfront, this property is within a 15-minute walk of Church of St Alban and Castle of St Alban. Le Franquet is 1.9 mi (3.1 km) away. 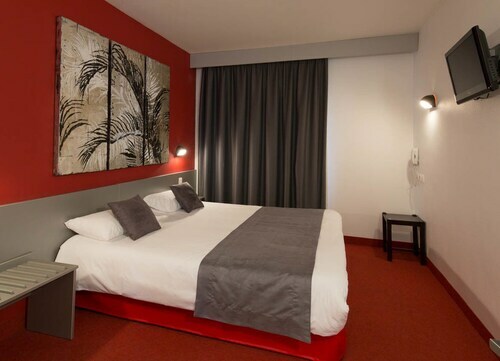 How Much is a Hotel Room in Saint-Alban-sur-Limagnole? 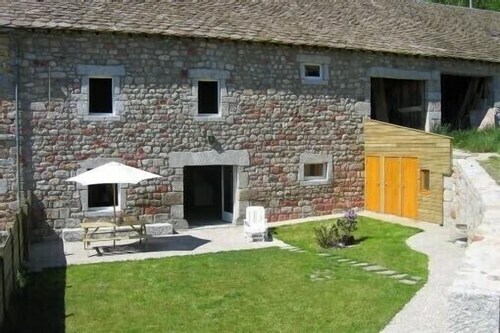 Hotels in Saint-Alban-sur-Limagnole start at $54 per night. Prices and availability subject to change. Additional terms may apply. For those that are traveling about in Lozere and are planning on making a stop in Saint-Alban-sur-Limagnole, there are a select number of hotels. You'll find 3 places to stay an easy driving distance from Saint-Alban-sur-Limagnole that should be right for you. The Relais Saint Roch is one of the most ideally located options, one of a handful of options within an easy walk of the Saint-Alban-sur-Limagnole city center. 9 miles (14 kilometers) away from the main part of Saint-Alban-sur-Limagnole, you will find the Château d'Orfeuillette. 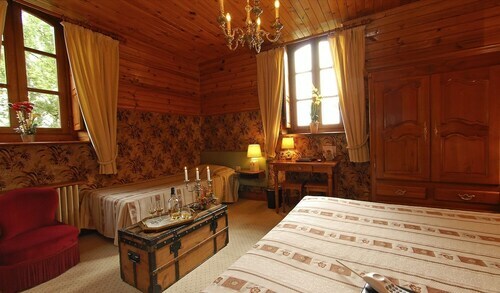 Alternatively, the Relais Saint Roch is approximately 1 mile (2 kilometers) away. More hotel and apartment options in this area are the Château De Varillettes as well as the Chez Camillou. Making plans to journey a little bit out of the center? Languedoc-Roussillon is home to many beautiful options. Languedoc-Roussillon boasts beaches, coastal plains, rivers and canals. Frequented vacation attractions include ruins, castles and traditional villages. Energetic travelers may also love snowboarding, skiing and cross-country skiing in this part of France. Located 19 miles (30 kilometers) away from Saint-Alban-sur-Limagnole travelers will find Meyrueis, which you'll have the chance to enjoy the Mende Cathedral. Mende is where you can find a selection of great Travelocity-listed places to stay. For another option, you'll find Meyrueis, located 45 miles (70 kilometers) south of Saint-Alban-sur-Limagnole. While you are there, take the time to check out the Grottes de Dargilan. Travelocity-listed hotel establishments in Meyrueis include the Château d'Ayres and Hotel Le Mont Aigoual. Before you venture to Saint-Alban-sur-Limagnole, why not explore Travelocity's Saint-Alban-sur-Limagnole accommodation and attraction guide where you are able to hear the secrets of all the things to do on offer. I only live about two hours from the hotel. The hotel is "modern," but a major inconvenience is that on weekends the office (acceuil, reception) is not open until five p.m. Thus you have paid for a room to which you have no access before that. The staff kindly provided the WIFI code, neglecting to add that the WIFI system had not worked for days, so a good amount of time wasted trying to get on line. 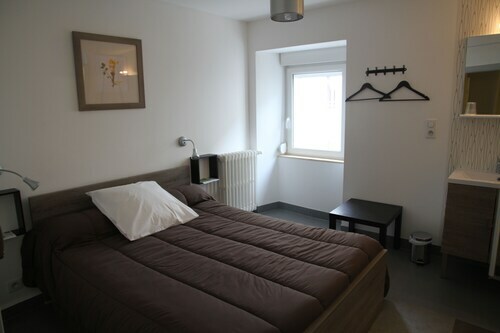 The rooms are relatively expensive (86 euros) but are extremely small and not very comfortable. There is a pool, but it was locked when we arrived in the afternoon. Lots of wonderful hotels in the region. This is not one of them, at least in our view.